By approaching every project with professionalism, craftsmanship, dependability and the highest levels of quality control, Fuller Garage Door ensures that your garage door will be a worry-free experience from start to finish. We have installed over 1000 garage doors in the Northwoods. For the homeowner in our service area who would like to install our products themselves we will come to your site, take measurement and deliver the products to you. 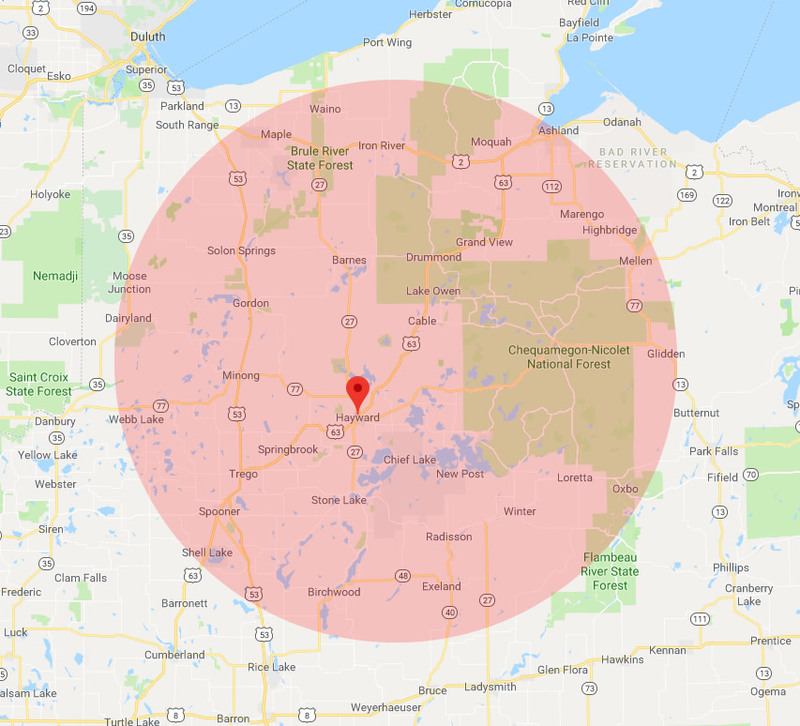 Our installers will travel within a 75 mile radius of Hayward, Wisconsin. Which includes Hayward, Springbrook, Trego, Stone Lake, Cable, Drummond, Lake Owen, Grandview, Ashland, Loretta, Newpost, Chief Lake, Spooner, Shell Lake, Exeland, Winer, Obxo, Webb Lake, Dairyland, Minong, Gordon, Solon Springs, Barnes, Maple, and Iron River.